The Vermont Senate Judiciary Committee heard testimony this week on the likelihood of legal challenges to a proposed law requiring labels on genetically modified foods. Judiciary Committee Chair Richard Sears wants a legal defense fund provision included in the bill because he expects a legal challenge if the proposal becomes law. Abramson notes that about 17 million farmers grew biotech crops on over 400 million acres worldwide last year. Vermont's 17 food cooperatives are supporting a bill that would require the labeling of genetically modified foods. In Albany, sponsors of a state bill to require the labeling of genetically modified foods, or GMOs, say they hope they have better luck this year advancing the legislation, after it died in committee late last session. Protest marches are scheduled to take place on Saturday in close to 50 countries and more than 200 locations here in the United States. Called “ March Against Monsanto”, the events will highlight what organizers see as a threat to the world’s food chain. 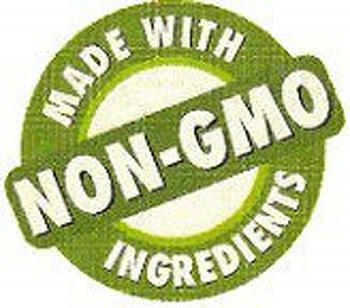 Monsanto is a leading producer of genetically modified plant organisms, or GMOs. WAMC’s Pioneer Valley Bureau Chief Paul Tuthill spoke with a local organizer of tomorrow’s march, Michaelann Bewsee, director of Arise For Social Justice in Springfield Massachusetts. The 38th annual summer conference of the Northeast Organic Farming Association is taking place today through Sunday on the UMass Amherst campus. One of this year’s keynote speakers is Jeffrey Smith. Smith is a consumer advocate who for more than a decade has been sounding an alarm about genetically modified organisms, or G-M-O’s, in food. WAMC’s Pioneer Valley Bureau Chief Paul Tuthill spoke with Smith.